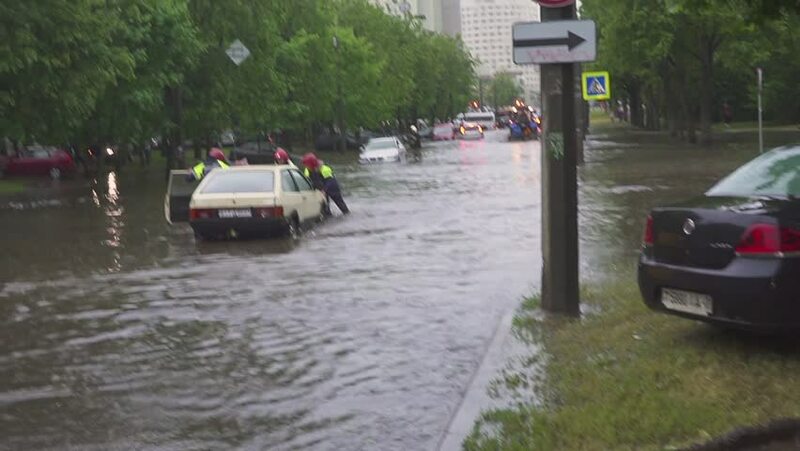 hd00:26JULY 20 2016 MINSK, BELARUS Flood on a busy road in the city streets after rain with sound. hd00:16MINSK. BELARUS - 21. 05.2018: Flooded streets after heavy rain in the city. Rescuers evacuate recessed broken cars in the European city. 4k00:12Line up of forest service fire fighting trucks near a burning forest.